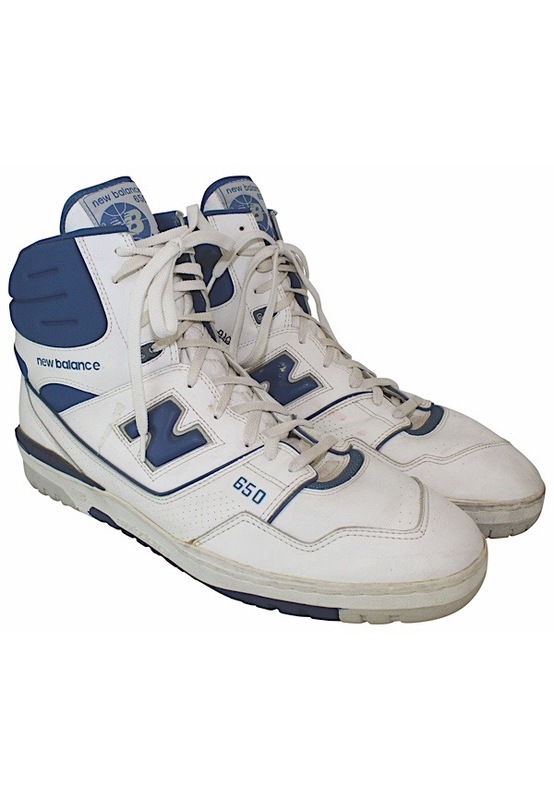 New Balance manufactured white sneakers with blue trim that are sans the size tag. 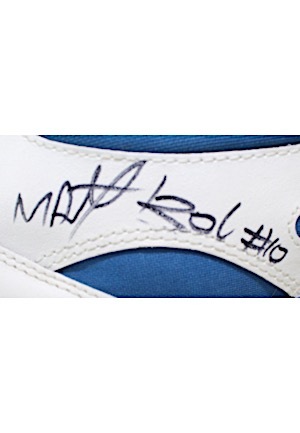 Manute Bol signed the inside ankle of both sneakers in black marker and in our opinion the signatures rate a combined 8. These sneakers are properly tagged, were presented to us as game-used and show wear. Accompanied by a LOA from JSA.